It was announced only last week that the Indian World Cup squad will be selected on 15th of April, that is today. Accordingly, the selection committee sat down along with the BCCI authorities and the Indian captain Virat Kohli, and the team was announced at around 3pm. For a long time now, there were 11-12 players who picked themselves into this side. It was only the rest of the 3 spots that were under the scanner. The World Cup 15 is out and there are a couple of surprises from the selection committee for the fans of the Indian team. 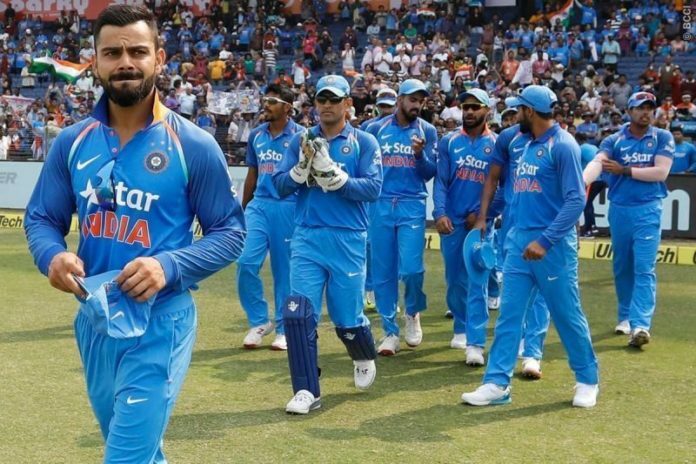 The squad, however, looks very strong and this squad could be well on its way towards justifying the favorites tag that India has been carrying for a considerable time now. There was a strong statement from the skipper Virat Kohli before the start of the IPL, which made it clear that while selecting the team, IPL form won’t be considered and that can be seen very clearly in this selected team. The biggest instance is the exclusion of Rishabh Pant who has not found his name in the 15-man squad even after an exceptional IPL. However, Dinesh Karthik, even after having a mediocre first half of the IPL, has made it into the World Cup squad. Virat Kohli(C), Rohit Sharma(VC), Shikhar Dhawan, KL Rahul, Vijay Shankar, MS Dhoni (WK), Kedar Jadhav, Hardik Pandya, Kuldeep Yadav, Bhuvneshwar Kumar, Jasprit Bumrah, Mohammed Shami, Dinesh Karthik, Ravindra Jadeja, and Yuzvendra Chahal. While most of these names were surely going to find a place in this squad, there are some who would not have hoped much from this meeting that was held in Mumbai today. For instance, almost the entire bowling unit has been very stable and was almost fixed, except for Ravindra Jadeja. Considering the pacing wicket of England, the Indian team could have gone in with a 4th specialist pacer. However, Jadeja has squeezed into the side with his excellent fielding abilities and the batting power that he brings to the table. Dinesh Karthik was the third choice for many, after MS Dhoni and Rishabh Pant, however, his temperament and his wicket-keeping skills combined with his ability to finish games with a calm mind is what has helped him pip Pant for this spot in the squad. The other major exclusion from the squad is Ambati Rayudu. However, it seemed that it was on the cards for the right-hander. After consistently letting the team down in the recent series, and the emerging of Vijay Shankar at no.4 only meant that it was Shankar who could make more sense at that position. This seems to be the end of the road for Ambati Rayudu. India has all the bases covered, to step into the field and absolutely thrash any opposition they want, provided they play with the best XI. Also, with certain players, injuries could be a concern, and with a tournament so long, they will have to keep the fitness perspective in mind. Barring those factors, however, the selectors have done a neat job here and now the onus is on the players to justify the favorites tag that the World has given to them, and get the trophy back home, for the third time in World Cup history. Previous articleAttractive pictures of Leryn Franco! !